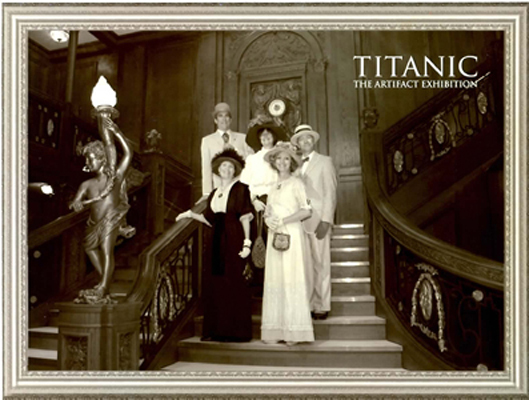 Ragtime Dance Workshops...Titanic Era Ball...Molly Brown House Tour...Silent Films...Irene Castle...Historic Afternoon Tea! 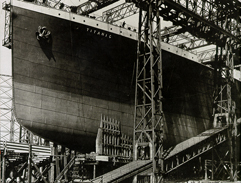 The Titanic appeals to us on many levels: the romance of the great age of ocean travel; the fascination of the ultimate shipwreck, and the vast sea of fact and fiction associated with her first and only voyage. Her allure surely has as much to do with the world she represented as with the dramatic story she has to tell. 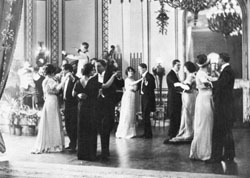 She provides an exquisite microcosm of the world of 1912, illuminating its strict class distinctions and its obsession with etiquette, fashion, and fine food. In the same period as she was built and launched, the era of Ragtime dance was evolving, so we will commemorate both her history and the joy of Ragtime dance during this very special weekend. 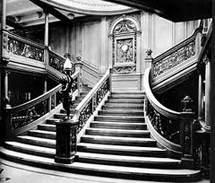 Historical note: RMS Titanic..."Royal Mail Ship" - a designation which goes back to 1840, is the ship prefix for vessels that carry mail. 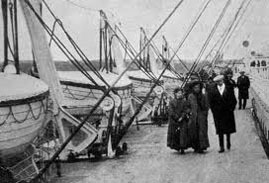 While some lines in the past called all of their ships RMS, technically a ship would use the prefix only while contracted to carry mail, and would revert at other times to a standard designation such as SS. 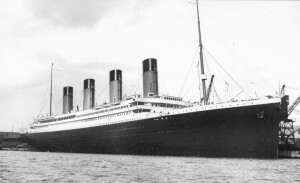 One of the best known lines to carry the RMS designation, as she was a contracted mail ship, was the largest liner in the world at the time, the RMS Titanic.